Disclosure: My friend Anne received the following items. All opinions are her own. 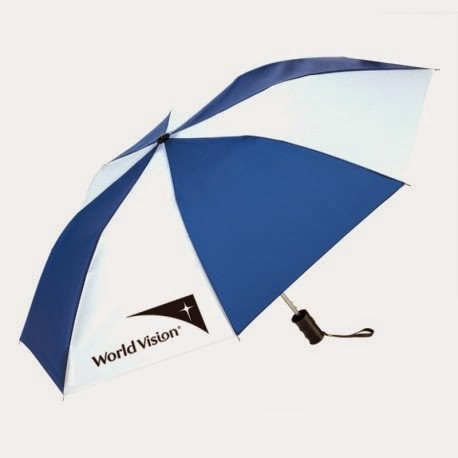 The rain we’ve had in Southern California the past few days was a perfect time to use my World Vision umbrella! 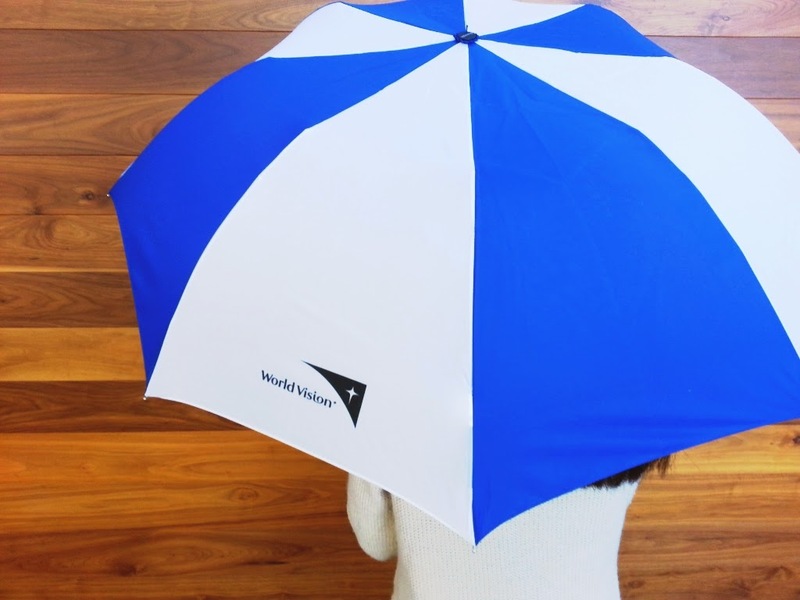 The blue umbrella, sporting World Vision’s logo and is a call to save lives with water, and serves as a practical reminder that rainwater is considered a precious resource for people that lack established water systems. Water is a necessary resource for sustainable living, yet 748 million people lack access to clean water – the equivalent of nearly two and a half times the United States population. To address this crisis and to acknowledge water’s essential presence on the earth, the United Nations General Assembly declared March 22 as World Water Day in 1993. 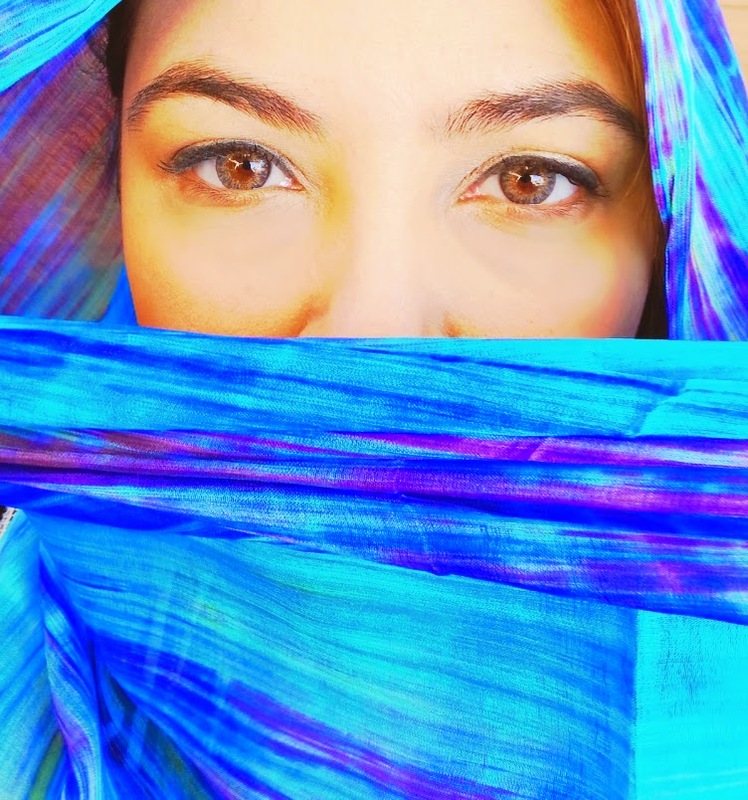 And the beautiful silk scarf was perfect in protecting my skin from the chilly winds! 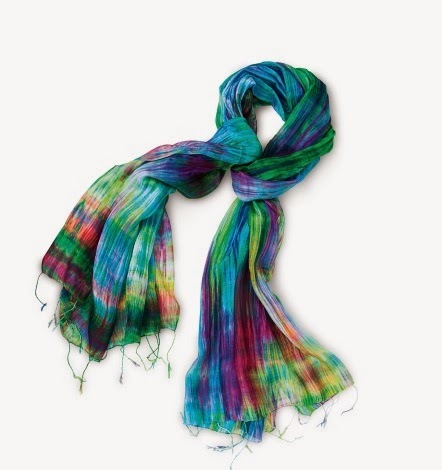 From the World Vision Gift Catalog, the Royal Silk Scarf is made with luxurious silk, using Fair-Trade practices. The blend of soft colors emulates the purifying qualities of water and the vibrant life that it sustains. Both are beautiful symbols to remind us how precious of a resource water is to our world and how important it is that we do not waste it. One Winner will Receive a Royal Silk Scarf & Umbrella! I had an unidentifiable smell in my car so I sprayed the interior with disinfectant spray. When a baby bottle of milk got left under the seat in the middle of summer. We've got lots of stinky boys gym/soccer clothes in the car on a summer day! GROSS! Smelliest thing was salad left in the car. For world vision, I love that they help people around the world and sell products to bring awareness. Smelly, wet gym clothes left in the car overnight during summer. I have not donated but I think I will as this is a great charity. No I didn't donate. Not able to at this time! I donate to the Goodwill. I'm not able to donate at this time, but I appreciate what they do. I support the American Cancer society and local charities. I have several items from world vision also. I am not currently donating to them. My charity of choice is my local food pantry, but after my niece's stint in the Peace Corps in Lesotho I do donate to clean water charities at times. Yes I do, to the Lions club and other local organizations. I donate to charities like Doctors Without Borders and the local food bank. I haven't donated through World Vision yet. i try to help out with our local animal shelter, peta and twloha. I donate to thrift stores. We donate to cancer research as well as donating goods to Goodwill.